Have you heard of the term shadow banning on Twitter? In short, it's when Twitter feels that you are violating some broadly interpreted term of service, so they limit the reach of your account... and they don't tell you about it! The funny thing about it though is that it seems to only happen to conservatives. So why am I bringing this all up? 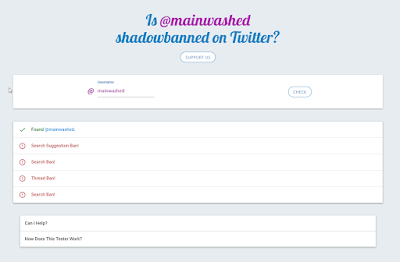 Well, our Mainwashed political Twitter account recently got shadow banned and we didn't even realize it! How did we figure it out? I'm glad you asked! 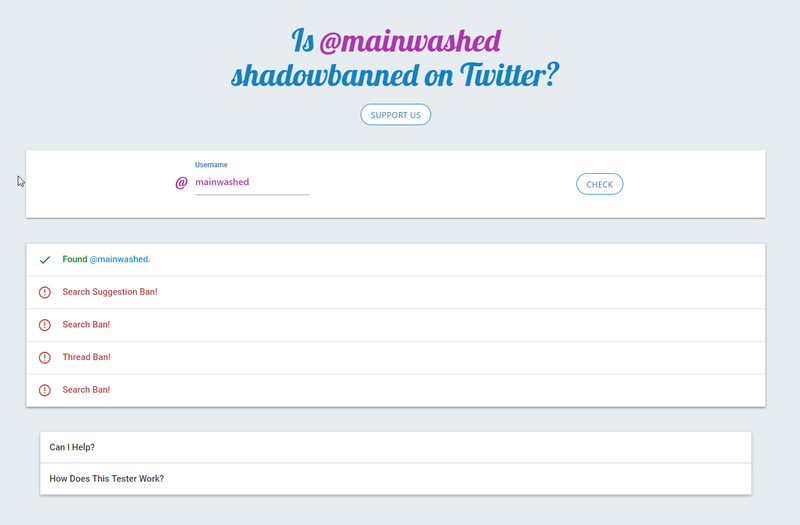 We found an online Shadow Ban check tool! All you have to do is enter your Twitter handle, and click check! I'm not sure who exactly we pissed off, but we're taking it as a compliment that we did! It means our message is getting out there! Anyway, if you are a conservative person on Twitter and your reach has been significantly stifled, try this tool out. You might just find that you've been Shadow Banned!